R. K. Barker Inc. was originally founded and started in 1986 by Rodney Barker and his father William Green Barker under the name Buffalo Security Products DBA Buffalo Custom Building and Remodeling. In brief the company Manufactured Two Home Security Products invented and Patented By Rodney and his father William. The Metalwood Security Door Jamb and the Adjust-a-Jamb. The Security Jamb was distributed Nationally to major do it yourself centers. Rodney and his father's heart's desire was construction.The construction division of their company started out doing minor Residential and Commercial Handyman and Home Improvement projects. The company expanded over the years to included Commercial, Government and Major Historical and Residential projects. Rodney did not just start off in business. He was brought up in it helping his grandfather during the summer in San Antonio, Canyon Lake and Marble Falls Texas His Great Grand Mother (Big Grannie) taught him how to hold a paint brush and paint a straight line when he was 12 years old. He started working as a carpenter helper at the age of 17 worked on projects ranging for framing, trim and punch out carpenter for local and out of town Contractors in, Houston, Corpus Christi.Attended a three year Carpenter Apprentice School back in 1970's. During the 70's and early 80's Rodney worked on Commercial, Residential and Historical Construction projects for banks, Brewery, retail finish out, hospitals, schools. Remodeling became Rodney's expertise and passion the constant challenges and obstacles still intrigue him today. So that takes us back 25 years to 1986 and the start of a business Journey that started with a dream , a Bended Knee Prayer and a loving father. The rest has just been hard work, fun with integrity and the desire of a son to make his father proud. It has turned out to be Icing on a beautiful Cake. We love the construction business! The Medina crew is your go to team. 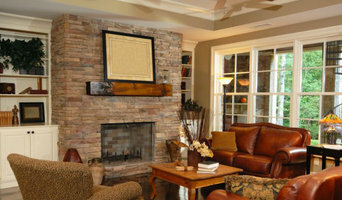 We are experienced in full home remodels and improvements, and have been serving local customers for over five years. Carrisal Construction is a family oriented business that has been committed to leading the remodeling industry with over 38 years of design experience. Certified Construction of Texas, LLC was founded by Troy Adair to meet the growing demand for wine cellars in their local community. 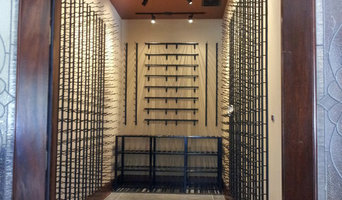 Certified Construction is a family operated contracting company that specialized in elite custom wine cellars. With over 35 years experience and working closely with clients, Troy, is able to craft spaces to match the winer collectors' vision and style, leaving the homeowner with a timeless product. Every piece is custom designed to meet your taste and design needs. 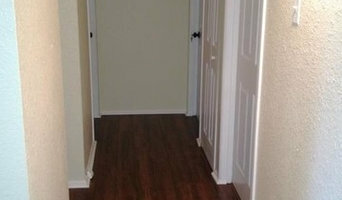 Rick's Woodworking even takes care of the tear out and removal of old cabinetry or structures no longer needed. D. Michael is an Architectural Design/Build company that specializes in residential and commercial remodels and new custom homes. 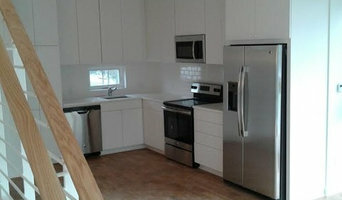 Guy Chipman Construction, L.P. provides a complete design and building service from start to finish. From the initial design ideas for your home improvement, to the detailed work at hand, we listen to our customers and work hard to create a home improvement that reflects your ideas and dreams. Guy Chipman Construction, L.P., a custom home builder, remodeling and restoration contractor, offers in-house planning and design services to modify your existing spaces to better fit your lifestyle. We have a large number of skilled craftsmen who take pride in their work. I truly enjoy working on older buildings and historic structures in San Antonio and the surrounding Hill Country. I have built a company with strong customer service and personally supervise each project. General Contractor. Re-model, renovation, restoration, additions and new construction. Residential and commercial. Founded in 2015, MCS is your go to team. Serving our local communities for over four years, we are experienced in kitchen, bathrooms and full home and business remodel. We also offer professional handyman services. We make sure to develop a lasting relationship with our customers. Free estimates, call today to set up an appointment.